The Ambergris Caye Wetland Committee (ACWC) held its last in a series of consultations with islanders and stakeholders on their proposal to have three areas off and on Ambergris Caye declared as national reserves. 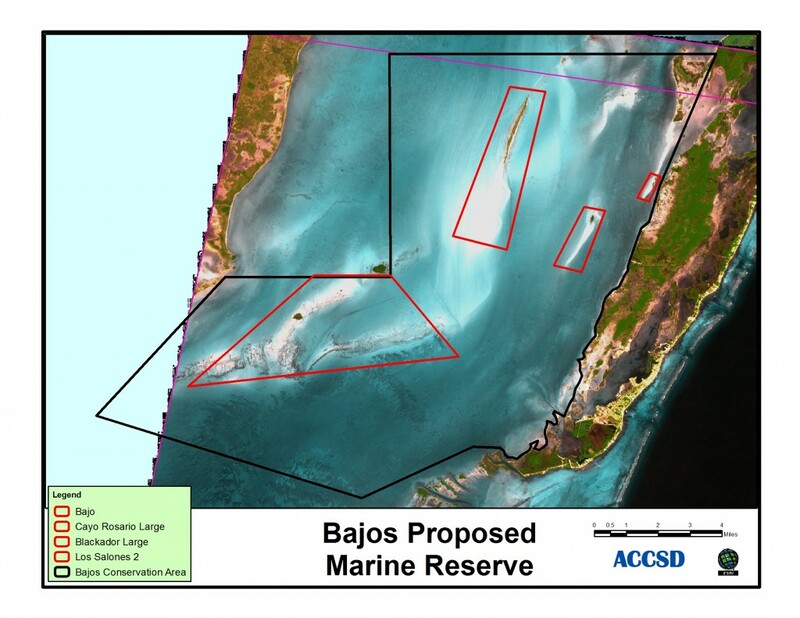 The areas in question are Mexico Rock’s Marine Reserve, Bajos proposed Marine Reserve and Mata/Cayo Frances lagoons. At the last consultation held on Tuesday night, August 21st, the team received no opposition to the proposal and as such, it is a go. The San Pedro Sun reported on this proposal on January 12, 2012 (Vol. 22, Issue #02). The smallest of the three proposed areas is the Mexico Rock’s Marine Reserve. This particular area starts north of the Palmero Channel area, runs five miles south to Mata Channel and 1.5 miles wide for a total of 8.75sq miles. The reserve will begin at the coastline sea grass bed area and extend east to where the reef shelf drops off. A “no-take” zone has been designated in the middle of the perimeter, which is currently used for recreational activities. The size of the no take zone is 1.5 square miles (one mile running along the reef and 1.5 miles running east to west from the outer fore-reef). The no take area is positioned so as to provide a 1.5 mile buffer on the north and south sides of the perimeter. The second area is the mangrove wetlands area in the central part of Ambergris Caye also known as the Mata and Cayo Frances lagoons. This national park is located three miles north of San Pedro Town. According to the ACWC, the area is bordered by Social Security lands to the west, and hotel developments on the coastal dunes of the windward side of the island. For the most part, the area is considered Government Land. The site is dominated with inundated wetlands and several inner island lagoons interconnected by a network of channels that are highly influenced by tidal exchanges of water that transport sediments, nutrients and many species throughout the system. The area also contains many sink holes that lead into an extensive network of underwater caverns that are yet to be explored, all while being home to a wide variety of flora and fauna and has been used as hunting grounds by many locals. The largest of the three areas is the Bajos Conservation Area. The Bajos Marine Protected Area is located between the southern portion of western Ambergris Caye and mainland Belize. It is bordered by the Corozal Bay Wildlife Sanctuary on the north and the Hol Chan Marine Reserve on the far south-eastern end. With no objections from the audience present, the proposed areas will be declared protected areas by the before end of the year. 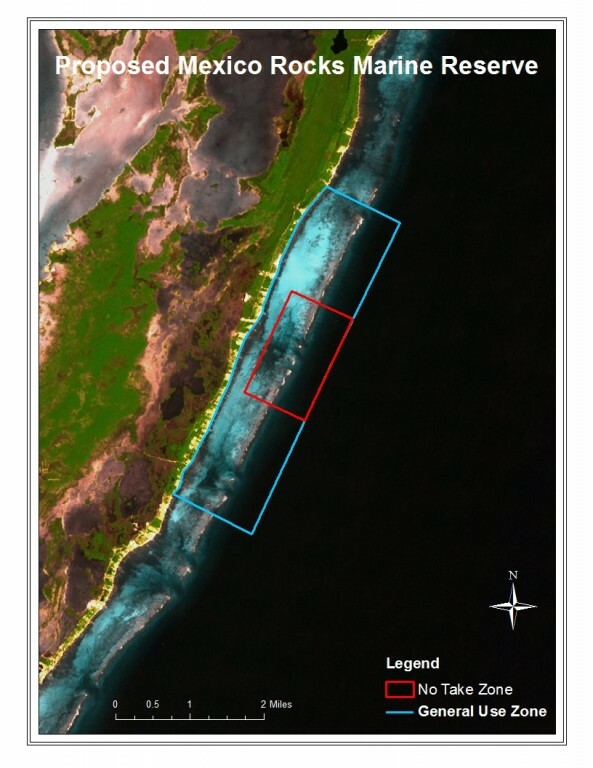 These areas are unique, they are sensitive habitats and in-fact if you look at the Cayo Frances those are wetlands and if we don’t protect at least a portion of those areas they will be gone very soon because there is developments all around. Losing those areas would mean losing the breeding grounds for a lot of commercial species of fish, hence the proposal to officially make them national reserves.